As I have gotten older, I have come to truly appreciate the importance of family and friends. I can’t imagine my life without them. They are the ones who join you in celebration, support you during times of need, encourage you, and share a million other milestones throughout life. And with who else would I share all the food I make?!? My parents came to visit this past weekend. While they don’t live too far away (about a 5 hour drive), work schedules and busy social calendars make it difficult to meet up frequently. I love spending time with my family. We have a TON of fun together. The laughter and silliness never seems to end! In addition to all of the fun, there is usually quite a bit of eating involved. I love visiting my parents’ house and having my mom cook for me. Who doesn’t like being doted on? But I love having them here and getting to be the cook even more! In preparation for their visit I spent a few hours in the kitchen getting as much ready as I could prior to their arrival. What was on the menu? Veggies and homemade hummus as an appetizer. 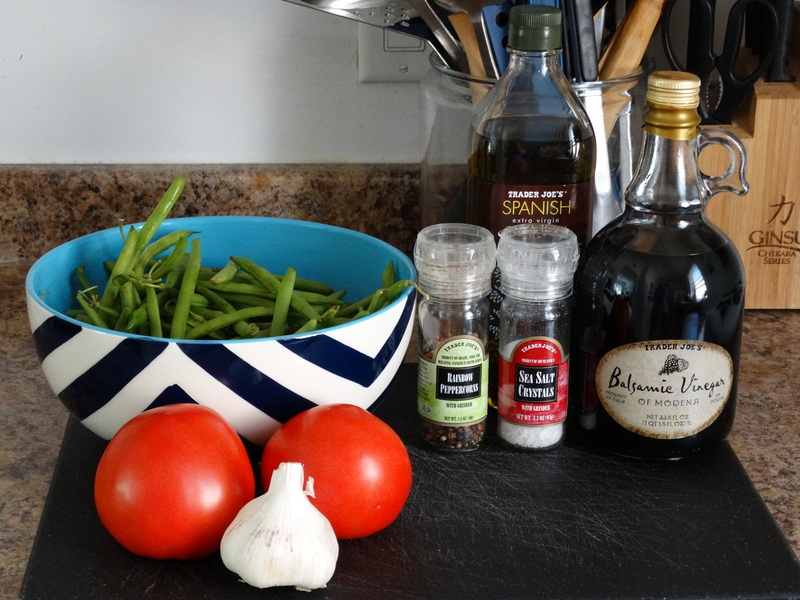 Seared steaks, mashed potatoes, and this delicious green bean and tomato salad for dinner! Begin by bringing a large pot of water to boil. Wash 2 pounds of fresh green beans and two large beefsteak tomatoes. 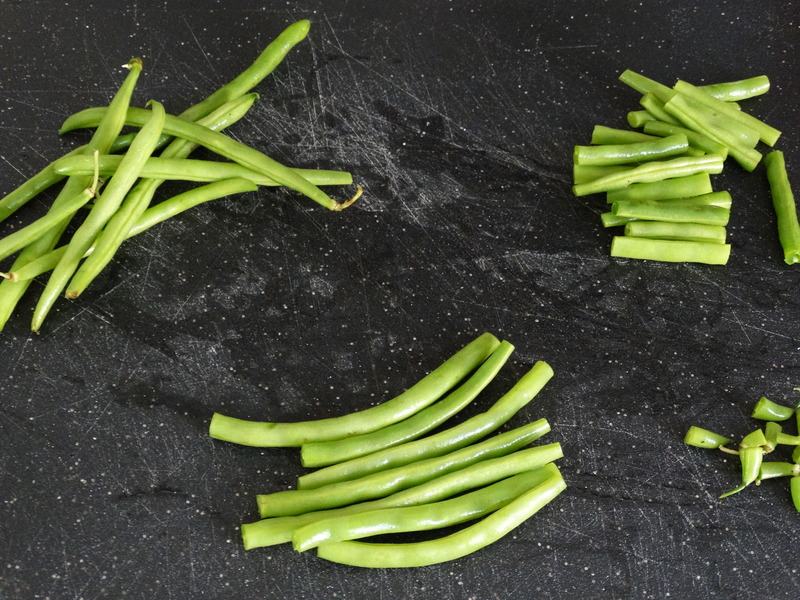 Trim the ends off your green beans and cut them into 2″ pieces. Once the water is boiling, add the green beans and cook for 3 minutes. 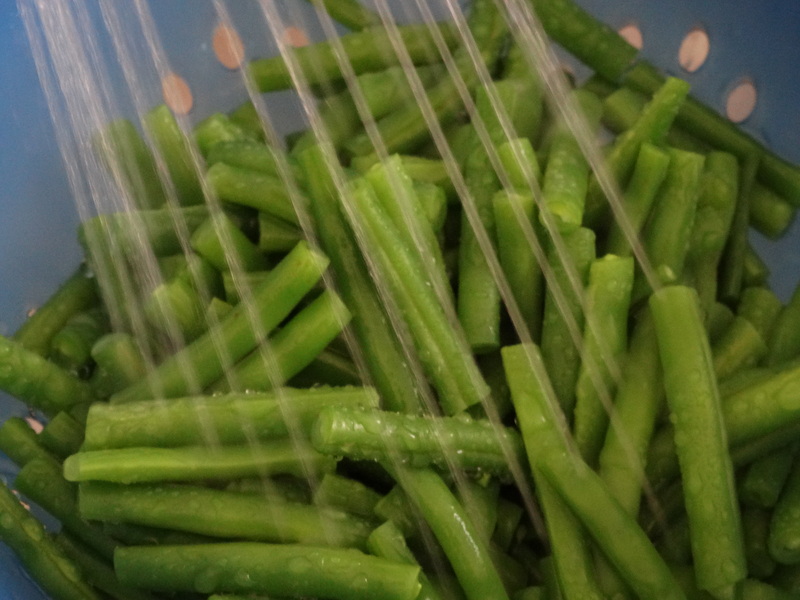 Transfer them to a colander and cool the green beans under running cold water. 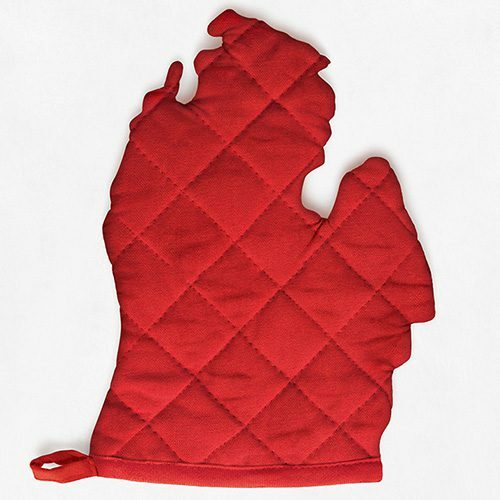 (This process of partially cooking a vegetable, then shock-cooling it is referred to as blanching.) Once cool, set aside. Quarter the tomatoes and remove the stem area. 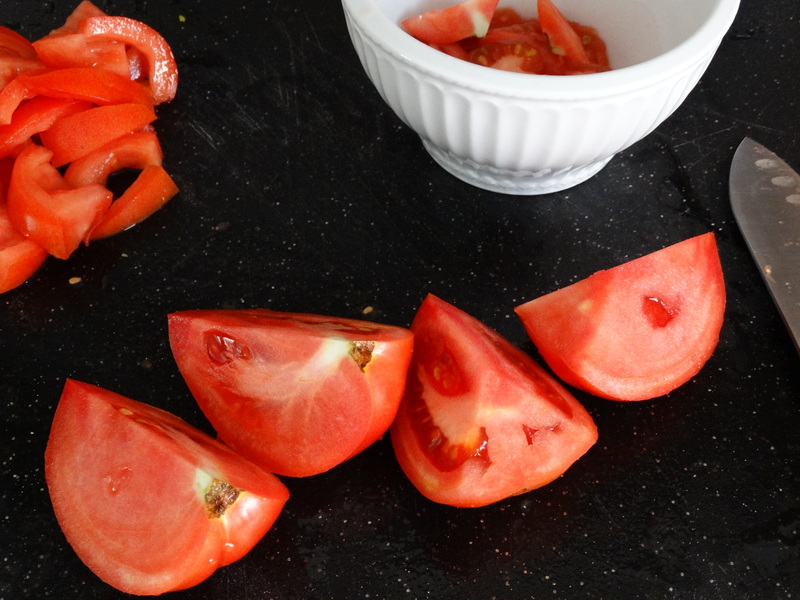 Slice your tomatoes into 1/2″ thick wedges and remove any seeds. It’s okay to leave the fleshy ribs. Then cut the wedges in half into bite sized pieces. 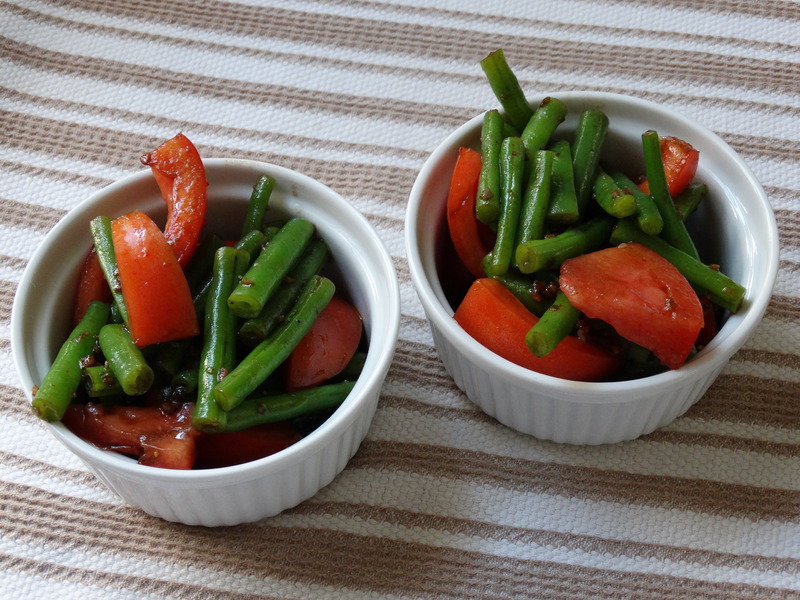 Place the green beans and tomatoes in a large serving bowl. 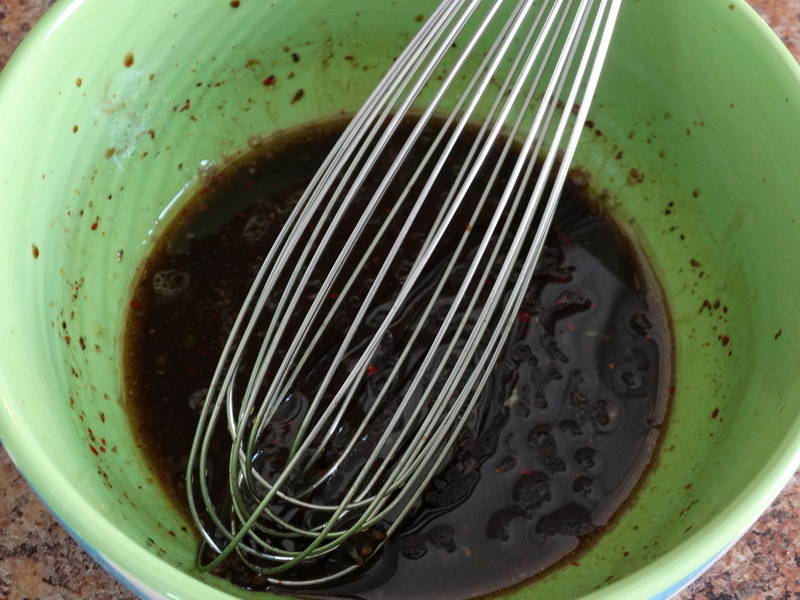 In a small mixing bowl, combine 5 tablespoons balsamic vinegar, 2-3 minced garlic cloves, 1/2 teaspoon sea salt, and 1/2 teaspoon freshly ground pepper. Slowly add in 3 tablespoons olive oil while stirring with a whisk. Pour the vinegar mixture over the green beans and tomatoes, toss gently to coat, and you are done! In the past I have added some fresh mozzarella. Fresh basil leaves also sound like a great addition. Have fun with it and enjoy! 1) Bring a large pot of water to boil over high heat. Wash the green beans and tomatoes. Trim the ends of the green beans and cut them into 2″ pieces. Quarter the tomatoes, removing the stem. 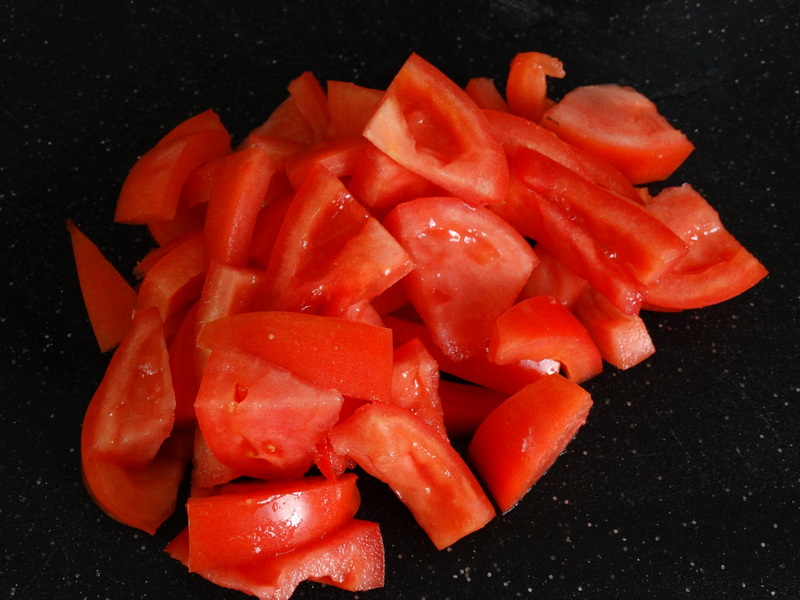 Cut the tomatoes into 1/2″ thick wedges and remove any seeds. Then cut the wedges in half into bite sized pieces. 2) Cook the green beans for 3 minutes. Transfer them to a colander and cool under running cold water. When completely cooled, put the green beans and tomatoes in a large serving bowl. 3) Combine 5 tablespoons balsamic vinegar, 2-3 cloves minced garlic, 1/2 teaspoon sea salt, and 1/2 teaspoon freshly ground pepper in a small mixing bowl. Using a whisk, slowly mix in 3 tablespoons olive oil. Drizzle mixture over the beans and tomatoes, tossing gently to coat. Enjoy! Note added 10/13/18: I still make this recipe often, but now I add chucks of fresh mozzarella! Hi Marta! I am new to your blog and really enjoy it. Looking forward to trying many of your recipes (starting with the green bean and tomato salad!) I am deb, the vocalist in your dad’s band. He told me about your blog, and I’m glad he did! Hi Deb! Welcome:) I hope you find some great things to try here. I will keep the recipes coming!